AMD chose this year's Computex to show off its new GPU – the world's first Microsoft DirectX 11 graphics processor. The chip is said to be a gamers' dream, with AMD announcing that "the forthcoming DirectX 11 programming interface is set to forever change both applications and PC gaming for the better." The demo is yet another showcase of technology at Computex which will take some time to come to UK shores. Current speculation is suggesting that we should see computers brandishing the chip – which makes use of 6th generation AMD technology – sometime near the end of 2009. 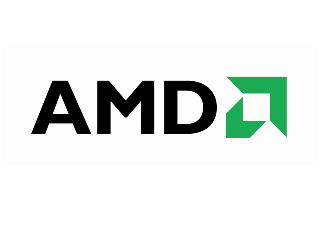 "AMD has a long track record of delivering pioneering features that have gone on to become mainstays in the DirectX experience, and we're doing it again with two mature, AMD-developed technologies in DirectX 11 – tessellation and the compute shader – both of which enable a better DirectX 11 experience for consumers," said Rick Bergman, Senior Vice President, AMD Products Group. "Today, we're previewing AMD's DirectX 11 graphics processor to build enthusiasm for this key technology so developers will have games available at launch and shortly thereafter. "With the benefits it delivers to gaming, applications and Windows 7, developers are lining up to get their hands on our hardware, and we're confident that consumers will too."